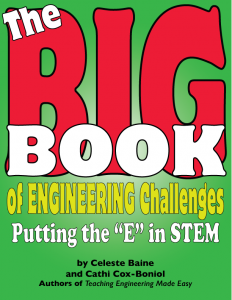 Celeste Baine is a biomedical engineer, Director of the Engineering Education Service Center and the award-winning author of over twenty books and booklets on engineering careers and education. She won the Norm Augustine Award from the National Academy of Engineering (The Norm Augustine award is given to an engineer who has demonstrated the capacity for communicating the excitement and wonder of engineering). She also won the American Society for Engineering Education's Engineering Dean Council's Award for the Promotion of Engineering Education and Careers and is listed on the National Engineers Week website as one of 50 engineers you should meet. The National Academy of Engineering has included Celeste in their Gallery of Women Engineers and she has been named one of the Nifty-Fifty individuals who have made a major impact on the field of engineering by the USA Science and Engineering Festival. 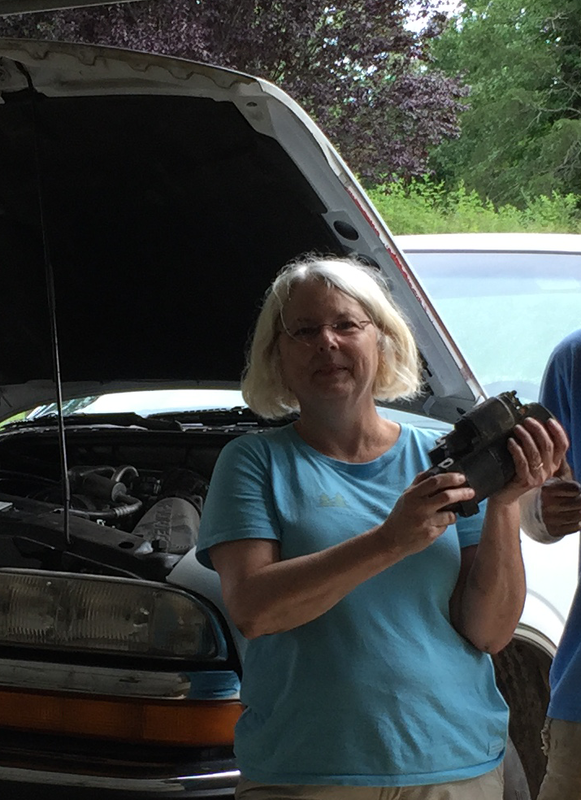 Celeste Baine, the workshop leader, is the winner of the Norm Augustine Award for being one of those rare individuals that can show the wonder and excitement of engineering. She is one of the top speakers on engineering education and motivating students. Celeste will make this workshop an enormous success! She is a high-energy, high content, how-to speaker. You will leave the workshop armed with instructions and materials. Training Binder (hard copy and electronic). Whatever you do, just be sure to celebrate. 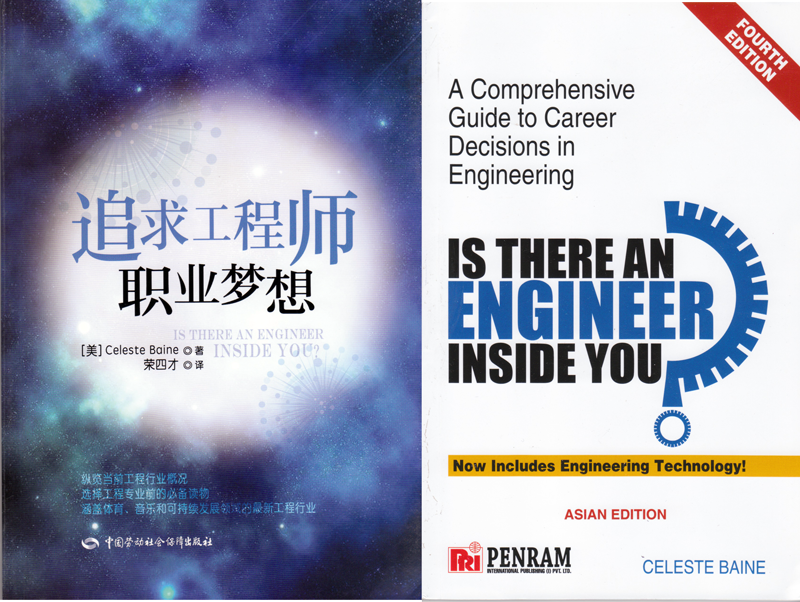 The objective of the 100,000 Book Give-Away is to distribute 100,000 copies of Is There an Engineer Inside You?, the leading book on careers in engineering and engineering technology, to students, parents, school counselors, mentors and educators over 5 years. Partners will each receive 300+ copies to distribute in their communities to students, teachers, educators, or school counselors at any type of engineering event. A customized copy of the book can be offered as a free download on each partner’s website. 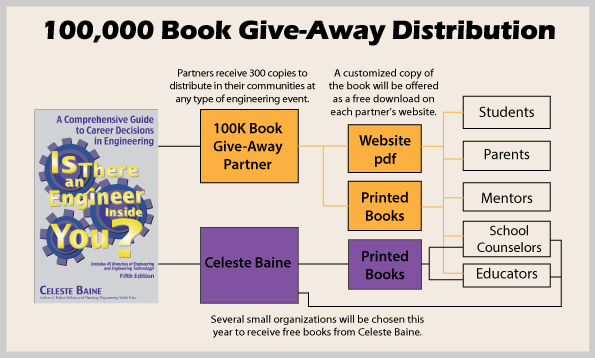 A minimum of 1000 printed books will be donated to K-12 teachers and school counselors by Celeste Baine at conferences and engineering events. The 100K Book Give-Away is an amazing program designed to help you easily expand your outreach, save money, save time, and provide a proven reference to students, parents, educators, counselors and mentors in your community. By distributing this book, recipients will have a resource that demystifies and promotes the profession while increasing awareness of engineering careers and opportunities. My very first book, Is There an Engineer Inside You? has been released in an updated fifth edition. 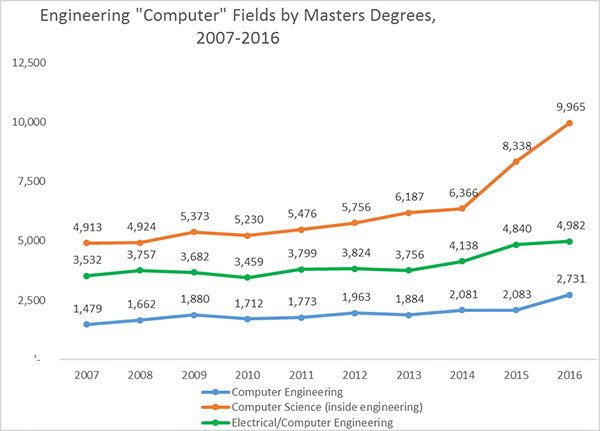 It now covers 45 different types of engineering and engineering technology, college options, how to succeed in engineering school, women and minorities in engineering, alternative careers in engineering, salary information and much more. I wrote the first edition when I was in engineering school. It was the book I wished I’d had when making the decision to go to school. I wrote it because I wanted my fellow students to know what they were getting into and have a clear idea about all the amazing pathways that engineers could follow. It contains information I couldn’t find anywhere. 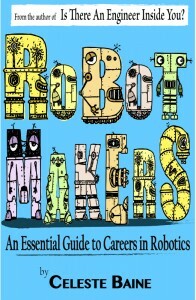 Some features of this book include helping students choose between engineering and engineering technology; information about college choices, engineering curricula, and articulation agreements; alternatives to traditional engineering such as Engineers Without Borders, Peace Corps, music engineers, entrepreneurial engineers and engineers in politics; and eleven discipline specific sections on engineering technology. For the first time, you can also now order small quantities of Is There an Engineer Inside You? with your logo on the front and backs covers at a discount by joining in the yearly printing that takes place in August. Please join my celebration! As you probably know from the Next Generation Science Standards, engineering is now a bigger part of the educational landscape. Is There an Engineer Inside You? will help you keep the ball rolling! Exxon Mobile began the Be An Engineer Program last year to inspire and prepare students to become engineers. They have many profiles of engineers (myself included), feats of engineering, careers in engineering, information about being an engineer, news about engineering and much more. It’s worth the time to take a look. A diverse population of innovators benefits us all. Learn why you should #BeAnEngineer. All Certified TEA trainers are welcome to join in this training to take your knowledge and experience to the next level. The Advanced Train the Trainer Workshop builds on the projects and activities from the first training. Only participants who have attended the first training may come to the advanced training. A Parent/Child TEA event will be held on Saturday, February 20, 2016 to reinforce the training. 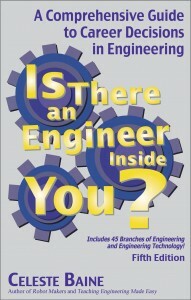 40 copies of Is There an Engineer Inside You? As 2016 begins, Engineers Week is right around the corner. The dates this year are February 21-27. This is a chance to celebrate engineering and technology with thousands of like-minded people all over the world. If you are a teacher, read the blog post titled “Five Things Teachers Can Do Right Now” to make the most of the celebration. If you run contests or competitions and need inexpensive student prizes, check out our colorful and fun engineering pins. 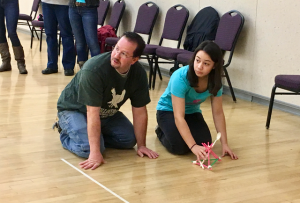 If you want to do easy, fun, and high-engagement hands-on activities with students, take a look at Teaching Engineering Made Easy and The Big Book of Engineering Challenges for activity ideas and inspiration. If you are an engineer planning to visit a classroom, take a look at our eWeek kits to make your visit memorable and dynamic. To find out more about engineering and learn ways to celebrate, visit: Discover Engineering. Whatever you do, just be sure to celebrate. The week runs from Feb 21-27, 2016. Once you decide to pursue an engineering or engineering technology education, preparation should begin as soon as possible. On the most basic level, college is designed to open doors. It teaches you how to think, solve ambiguous problems and use the tools of engineering such as design and simulation software – this gets you ready for employment. There are several approaches to pursue an engineering or engineering technology career. You can attend a community or junior college, vocational school, technical college, state university or other public or private university. 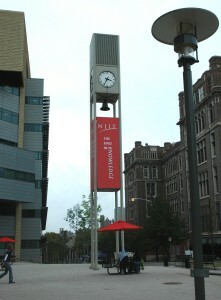 Programs range from one year or less for a certificate, two-three years for an associate’s degree and four-five years for a bachelor’s degree. Each path has its advantages and disadvantages. College classes are taught with the expectation that you are willing to do some research on your own and that you are motivated to do so. Choosing the engineering or engineering technology school that is right for you is as important as wheels are to automobiles. Hundreds of schools offer engineering programs; some schools have engineering dorms, some offer engineering fraternities or sororities, some are inner-city and some are spread out over large distances. The advantages and disadvantages of each school will depend on your personal needs and wants. Important considerations for most college-bound students include location, cost, faculty, school size, and academics. To find a program in the United States, visit ABET (Accreditation Board for Engineering and Technology). 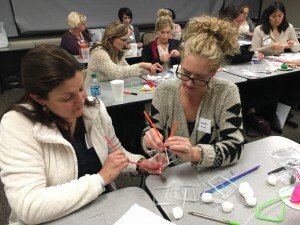 K-12 standards are starting to include engineering, the missing “E” in STEM. Educators are going to have to adapt. Our hack will help get people started on the way to STEM integration that includes all four fields.